This morning at 12:01 AM Eastern time, my copy of the SimCity digital deluxe version unlocked in EA's Origin service. For the next 20 minutes I experienced download failures, until finally the game began to come down the pipes. While it updated I napped, and when I woke at 3:30 AM the game was ready to play. Apparently I was one of the lucky ones—for many people the game still hasn't even unlocked. 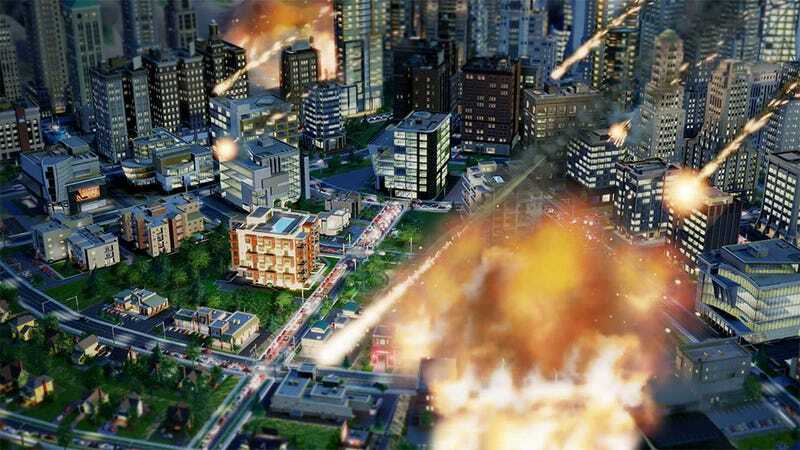 I woke up this morning to reports of a SimCity launch disaster. While the problems with my download, brought on by the sudden rush of everyone that wanted to play the game assaulting the servers all-at-once, were quickly resolved, reports of download failures and network congestion continued well into the early morning hours. Further confusing matters, the initial download is relatively small, with the majority of the game's data being delivered via the launcher. Folks pleased with the quick Origin download were met in-game with a "Processing Large File" meter that took hours to fill (if it finished filling)—that was the actual download. Completely unrelated to network congestion, EA Support is filled with complaints of the game not unlocking in Origin for folks in territories where 12:01 AM was supposed to be go time. Looking through the support forums I am seeing folks with the issue having some success re-buying the game, so it looks like live purchases unlock just fine—mainly preorder customers are having the issue. Not a very nice loyalty reward. On top of those issues, our friends over at Rock, Paper, Shotgun point out that some players in the early hours of launch reported experiencing 30-minute server queues just to get into the game once installed. That's 30 minutes even if you just wanted to start up a private region and play by yourself, the always-connected nightmare made flesh. And here I sit, still connected. I disconnect, log back in, and everything is fine. I've tried each of the servers available, and I have yet to encounter a queue. There seem to be plenty of people playing. I've not encountered any serious bugs or hiccups. It's running just as well as it did this past weekend. I realize it's an illusion, but I feel like I'm the man on the one spot of dry land as the flood waters rage. I've contacted EA about the launch woes. I expect they'll get back to me once they get a break from dealing with the launch woes.